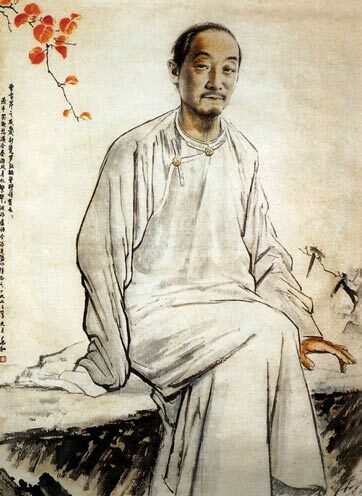 Cao Xueqin was a great writer in the Qing Dynasty (1644-1911). His personal name was Zhan, and his style name Mengruan. His representative work A Dream of Red Mansions was written in the latter half of the 18th century, which is not only a great Chinese novel but also a gem of world literature. The work is named as one of the Great Four Works, together with The Romance of the Three Kingdoms, Pilgrim to the West and Outlaws of the Marsh. 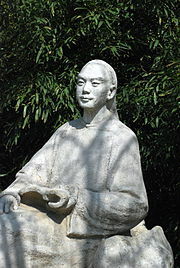 Cao Xueqin is considered to be China’s greatest novelist, but little is known of his life. An unconventional, versatile man, he came from an eminent and wealthy family which suffered a reversal of fortune in 1728 after the death of the Kangxi Emperor and a power struggle between his sons. Cao seems to have spent about ten years writing and revising his novel, from roughly 1740 to 1750, but the last 40 of the 120 chapters were completed by a different author, probably after his death. He also worked for a period of time in the Imperial Clan’s school for the children of the nobility and bannermen, but eventually settled in the countryside west of Peking. 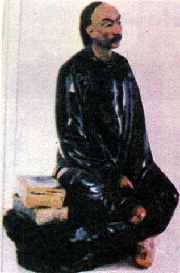 He earned some money by selling his own paintings, but his family seems to have been perpetually in poverty. The novel, now generally recognised as a masterpiece, was not published until 1791, nearly 30 years after Cao’s death. Cao achieved posthumous fame through his life’s work. The novel, written in “blood and tears”, as a commentator friend said, is a vivid recreation of an illustrious family at its height and its subsequent downfall. In his later years, he lived in poverty. Drawing on his own experience, Cao Xue-qin put all his effort, creativity, feelings and exploratory spirit into writing, producing the greatest literature work of all time – Dream of the red chamber. Almost no records of Cao’s early childhood and adulthood survive. Scholars are still debating Cao’s exact date of birth, though he is known to have been around forty to fifty at his death. Cao Xueqin was the son of either Cao Fu or Cao Yong. It is known for certain that Cao Yong’s only son was born posthumously in 1715; Some believe this son might be Cao Xueqin. 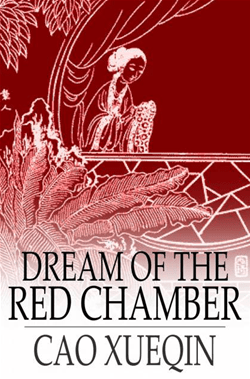 Dream of the Red Chamber composed by Cao Xueqin, is one of China’s Four Great Classical Novels. It was composed in the middle of the 18th century during the Qing Dynasty. It is considered to be a masterpiece of Chinese vernacular literature and is generally acknowledged to be a pinnacle of Chinese fiction. A small group of close family and friends appeared to have been transcribing his manuscript when Cao died quite suddenly in 1763–4, apparently out of grief owing to the death of a son. Extant handwritten copies of this work – some 80 chapters – had been in circulation in Beijing shortly after Cao’s death and scribal copies soon became prized collectors’ items. The novel goes far beyond the tragic love story, to depict a broad swath of society through describing a series of complicated conflicts and struggles, and ultimately predicting the doomed fate of feudal society as a whole. 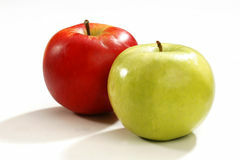 His rebellious character is fully expressed in his attitude of indifference to the ways ofaristocratic life. This entry was posted in Jezebel Home and tagged Dream of the Red Chamber composed by Cao Xueqin, He also worked for a period of time in the Imperial Clan’s school, The novel goes far beyond the tragic love story. Bookmark the permalink.